Update! : Check out our new GRE Vocabulary Flashcards App available in web/iPhone/Android formats! We weren’t exactly pleased with the other GRE flashcards available on the market, so we’ve made these in true Magoosh fashion—each card includes example sentences, descriptive definitions, and fun themes to really help the words stick. Let us know how you like these, and if you have any other “eBook” or resource requests for our next release. Click here to download the eBook. It’s a big file (flashcards take up a lot of pages), so it’ll take a while to load. Enjoy! And see below for some tips on how to use these flashcards effectively. 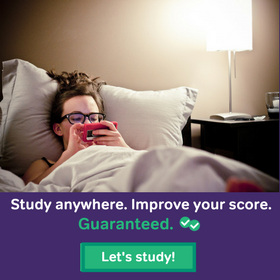 While we do encourage flashcard use as a supplement to your GRE studying, nothing really beats good practice. So, make sure to put your vocab skills to use by doing plenty of Sentence Equivalence and Text Completion questions as well. Magoosh premium members have access to nearly ~400 SE & TC questions combined. Don’t only use GRE Vocabulary Flashcards—read as well! Although GRE vocabulary flashcards are a great starting point, they should not be the only means of expanding your vocabulary. One of the best ways to develop your personal lexicon is to read more. But don’t just read anything—you need to focus on academic materials similar to what you’ll see on the GRE. Some great suggestions include The New York Times, The Economist, The Atlantic Monthly, and The New Yorker. Anytime you come across a new word, see if you can figure out it’s meaning by scrutinizing the surrounding words. Then look up the real definition—keep this information recorded somewhere and review it often! If you do a lot of online reading, check out our Chrome Plugin that highlights common GRE words. While our flaschcards and the Chrome Plugin include words that frequently appear on the GRE, it’s likely that you’ll run into some unfamiliar terms come test day. The best way to prepare for this situation is to practice reading until you develop a comfortable sense of logic & structure within sentences. This will allow you to decipher the meaning of unknown words simply by examining their context. Diffidence refers to timidity or shyness. In this respect, it’s the opposite of a more common word: confidence. Verisimilitude means “something that has the appearance of being true.” So when you see this word, think of something “veri-similar” to the truth. Coming up with mnemonics for new words is a great way to help them stick! 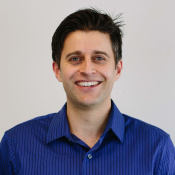 Editor’s Note: This post was originally published in June, 2013 and has been updated for freshness, accuracy, and comprehensiveness. Hello, is there a more recent list of these vocabulary words for 2018? I am not sure if the GRE has changed some of their common words since 2012 (since this list was posted). The BIGGEST problem with your app is that it doesn’t cover pronunciation. It is really very time-consuming to study the GRE words with one app and check the pronunciations of the words using another app. You should add pronunciations to your app. It is MUST. Thank you for providing us with this feedback! We really appreciate it when students help us to make Magoosh the best it can be. I’m sorry to hear that you are disappointed we don’t have the pronunciation feature on our flashcards–this is something we hope to improve on in time, but I know that doesn’t help you right now! While our flashcards don’t have a pronunciation feature, our Vocab Buider app does include the pronunciation for many of the words, which are the same as those in the flashcard app. We also recommend that students use sites like Wordnik.com to look up the pronunciation of words they don’t know. I know this isn’t ideal, but I hope it helps at least a little! The GRE cares more about your ability to recognize and use vocabulary in context than about how many definitions you can memorize. The best approach to vocabulary is to learn words over a long period of time with continuous review. In fact, we recommend that students learn by reading and learning vocabulary in context. You can learn more about this approach in our free Vocabulary eBook. It sounds like you are planning ahead and have plenty of time to learn vocabulary. This is great! my recommendation is that you start to use our Vocabulary Flashcards and learn a few words a day. Make sure that you really understand them and how they are used in sentences. As you do this, you can start to read to improve your reading comprehension and vocabulary (find out more about this here). These are the big picture skills that you need for success in the GRE, and there are no shortcuts–you have to put in the time and energy for improvement! Thank You sooo much for these Flashcards. I took GRE 5 days back and I secured a score of 319- Quant(170) and Verbal(149). Though my verbal is very low, I am happy with it coz with Magoosh Flashcards I could never have got 149. I am taking the test again on Oct 6th, do you have any advice for me. I’m glad our flashcards have been helping. Be sure to practice active reading strategies and learn how to understand new vocab by reading in context too. These strategies cna help you guess at the meanings of words even if the words are completely new to you. And make sure you build up your multiple choice test strategies in Verbal while you’re at it– build your skills in eliminating the wrong answers, spotting the right ones, and understanding how GRE Verbal questions are designed. Hi. I just want to make sure these guides are useful. I take the GRE in a few weeks. Is your information the same information on the ets practice tests? Sorry it took us a bit to get back to you! 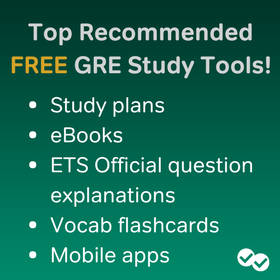 I hope you’re still studying for the GRE and have found some good resources! 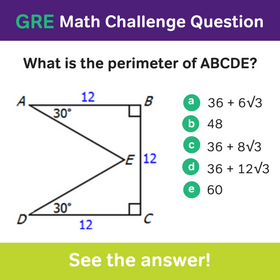 We strive to deal with all of the same information you need to pass the GRE but we make our own materials, so we aren’t repeating ETS official materials here. I hope that answers your question! I was looking for this all over the internet. Thanks a lot. Great question! The GRE is graded from 260 to 340. There are 130-170 points in verbal and 130-170 points in quantitative. There is no “failing” score and instead individual universities will set their desired score levels. You can find this information on their admissions pages! You also get a separate AWA score which is your writing score from 0 to 6 in 0.5 point increments. I don’t think i’m able to clearly understand how to print out the words. I want to have it in a similar way in the app. Word on one side and then the definition with an example sentence on the flip side. I went through the pdf and dont seem to be finding such a format. I see the pages where the word is one side and a more of an explanation of the definition on the flip side. Can someone help me out, unless i have something totally wrong. Can we get this book for all 1000 words in flashcard. Is there a printable version of the GRE Vocabulary Flashcards app as well? If not, it’ll be REALLY helpful if you could put all the words in an eBook. Thanks! It’s a big file (flashcards take up a lot of pages), so it’ll take a while to load. Enjoy! I already have the eBook, but it contains around 300 words, right? I’d like to know whether there is a printable version of the entire Magoosh GRE Vocabulary Flashcards app, which contains close to a 1000 words. When was the GRE Vocabulary Flashcard eBook last updated? I’ve heard that the test makers keep changing the format of the test, and it seems like the book was written for 2013’s test takers. Would it make sense to print these out and study these in 2015? Great question. The Revised GRE General test replaced the General GRE test on August 1, 2011. Since then, the format of the test really hasn’t changed much, and the vocabulary presented in our eBook is just as relevant today as it was in 2015. You can definitely feel comfortable using our GRE Vocabulary Flashcard eBook to study for the current format of the exam. How do I print only one sided vocab cards? Thanks to Magoosh for an awesome collection of Vocabulary Flashcards. I have created a class for Magoosh GRE Flashcards on Quizlet. They have helped me in learning a lot and I hope it would be helpful to others too. I am sharing it’s link and everyone is welcome to join and learn Magoosh GRE Flashcards through Quizlet’s way! I just wanted to know if the Magoosh GRE Math flashcards, containing formulae and different approaches to quite a few topics is enough for studying, later followed by practice tests? I have joined your class of GRE Flashcards at Quizlet. Can you please approve my request. Hmm…it seems that ‘sedulous’ is defined correctly in both our ebook and in the flashcards. That definition i ‘marked by care and persistent effort’. The ‘sitting idle’ definition is wrong. I’ve been using these flashcards and they are of great help. While going through one of the words-“precipitous” in common words V deck, i found its meaning and the sentence not appropriate. Your meaning for the word reads “done with very great haste and without due deliberation”, whereas the sentence given is “He was expecting a precipitous rise in the value of a hot tech stock, but was disappointed when it only inched up a dollar or two each day”. If we infer the meaning of this word from the above sentence, it would mean steep rise. 2) It is stylistically inappropriate given that precipitous needs to be followed by something negative. The word is almost always followed by a drop, but “precipitous rise” is on the rise itself–though if this is precipitous depends on how a “prescriptivist” you are :). I will make sure to change it. Thanks again, and sorry for any confusion! I printed out the flashcards for my younger sister who’s studying for the GRE, and I had fun reading the sentences and background information for each word. Some of the words I’ve heard of before and I found some clips on YouTube of movies, ads and TV shows where the words are used in a humorous way. Hey Philip! Thanks for this. 🙂 I think our other blog readers will find it helpful! Just for clarification is the E-book same as the flashcards on Tablet app. Thank you for your fantastic work. I want to know how to download this ebook vocabulary to my computer. I can not be online to read all the time. 1. Open the eBook online. 2. Click on the little icon in the bottom right corner that looks like a file. This will save the book to your desktop. 3. Alternatively, you could press the printer icon and print the book. Glad you’re enjoying the cards! 🙂 Happy studying! I downloaded the magoosh flashcard app and i must say it is super awesome. It really works well in terms of remembering the words.All this time I was fidgeting with choosing the best wordlist, i think i found the right one. 🙂 Just wanted to ask you, i have a month to go for my GRE exam. Will it be enough if i learn the words only via your flashcard app? Hey Rohan! Yes, that should be plenty of words to cover in one month! For everyone else reading this, we’re referring to the 1000 words in our flashcard app, found here: http://gre.magoosh.com/flashcards. Happy studying! Hi, I’ve been using the online flashcards for the past few days but suddenly, the back part of each card is not working (it has the same “principal” word and not the definition). Is this a generalized problem or is it just my account? Should I print the vocab flash cards or are the same words in your app? There is only 300 words, can i have more of it? Hi, I noticed you have flashcards for around the world vocab as well as french words etc. I’m just wondering if you think there will be a lot of those words on the GRE? Yes, we do! There are quite a lot of “French” (now basically English) words that will pop up on the GRE, especially in the TC/SE answer choices :). Thanks a ton for the e-book! I have a small query, i have downloaded the magoosh android app and it turns out there are 250 words in it. Does the app consist of same stuff mentioned here? because for me its more easy to study over my phone. And will more words be added into the app anytime soon? What is the update on the GRE Vocab online flash cards? They’re live now! 🙂 http://gre.magoosh.com/flashcards. Are the online voc flashcards available now? Or, is there any app for ipad to learn them. Please reply. Sorry for asking this as I am new to this blog. I would like to know whether we need to register or sign in for downloading the flash cards? Are they free for everyone? I have been trying to download these using the link but the page is not loading and its saying you may need to sign in. My connection is very slow…so this may be a factor too. The flashcards are free to download, for everyone– no need to sign in or anything like that. The PDF file is indeed very large, so it may just be taking a while! Thanks a lot. Its really great that they are free. both the files contain same words or were there is any difference? THANKS to everybody for their great efforts …Magoosh team to help us by one more means to study for GRE effectively. Thanks for being with us with so much of your support and lot of efforts. we will make best use of it. This is just perfect! Thank you. You guys are awesome! Thanks for this resource, just downloaded it. I’m sure it’ll be of great help. Btw, i’m very new to this blog, so pardon my novice query: In your view, how many words (as a bare minimum) should one go through to get a decent Verbal score? The reason i’m asking is because i’ll be appearing for GRE in less than a month, and unfortunately work commitments haven’t allowed me to spend as much time on vocab as i would’ve liked! The words in this flashcard set/Vocabulary eBook that I linked to above are a good start. There’s no set number, really– just by doing plenty of practice questions and reading (recommendations are included in the eBooks!) you’ll be able to pick up several hundred words naturally. The new GRE really tests contextual knowledge of words, so don’t worry too much about memorizing X number of words + definitions. Just do lots of reading and occasional flashcard review– this is much more fun and will be much better for your Verbal score. Thanks, Nafiz! We’re glad you like it :). Happy studying! Check the French words section. Isn’t there an extra ONE-SIDED FLASHCARDS separator page in there. noticed while printing. You’re welcome. It’s a really good design and effort. Will start reading soon. Could you advise me how many words are in there , 300 I guess. Do you plan to release a bigger set soon enough for premium members or so. I really liked the way you have laid it out, no other word list looks as attractive and handy. Yes, just a little over 300. We do have another, online (not paper/PDF) flashcard resource that we’re going to be releasing soon, which will have some of the words in this set but also a lot more, especially high-frequency words. We’ll definitely be posting that on the blog when it’s ready, so be sure to check back in a few weeks! Just curious. How many words/cards are there? Great job. These flashcards are absolutely stunning. I could see that a lot of effort has gone into making these I really appreciate your effort. This is a must – print for me now. Thanks once again. Kudos to your team. Thank you, I’ll pass on your compliments to our designer! 🙂 I hope the cards help you ace the Verbal section! Exactly what we people were looking for !! Great stuff !! Thank you sooo much ! !